President Muhammadu Buhari has reportedly rejected subtle move by marketers to increase fuel price. The pressure on government to effect a rise in petroleum price from N145 per litre is coming amidst the current acute fuel scarcity across the country. “The key issue is a price war. The marketers have made representation to the Federal Government and the Minister of State for Petroleum Resources, Ibe Kachikwu, to allow price hike of petroleum products and leave the sector to market forces. “The President and Senior Government Officials are, however, opposed to price hike because of its spiral effect on the socio-economic life of the nation. It also has grave political implications for the survival of the present government. Well placed government sources said the administration is concentrating on finding permanent solutions to the recurring fuel crisis including checkmating sabotage by some marketers and stakeholders, and putting all the nation’s 23 depots in 100 per cent shape. It was gathered that marketers are still unwilling to import products because of low or insignificant profit margin. They are seeking full deregulation of petroleum products. Key players in the petroleum industry attribute the fuel crisis in the country to agitation for price hike by marketers, disruption of the supply chain, and sabotage by some stakeholders to force the government to deregulate the sector further. 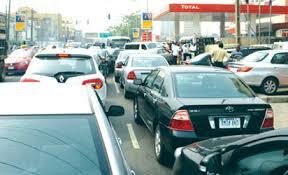 Another stakeholder, speaking on the price war, said: “We import refined products as a nation. Once the prices of crude increase at the international market, they have effects on the cost of refined products being brought into our country. “The landing cost of Premium Motor Spirit (PMS) is between N165 and N170 per litre. The marketers are claiming that the profit margin is insignificant and they cannot recover cost, they say they need to top up prices since they no longer enjoy subsidy. But a government source said: “To mitigate the issues raised by the marketers, this administration put some measures in place. For instance, the government created a special foreign exchange window for the marketers to enable them to import products. “Instead of using the forex, some of them diverted it to other use. In order not to hold the nation into ransom by the marketers, NNPC in the last one and a half years has been importing 99.9% of products. This sole importation also drains the resources of NNPC but it has to sacrifice to ensure availability of products. “And if NNPC imports, it sells to marketers but they are still complaining of low profit margin. The importation chain has its own stress because for the storage of the products, NNPC can only accommodate 55% of the products. The oil majors cater for 30% and independent marketers take charge of about 15%. So, at any point, these marketers are still needed. A minister, who should know, also said the government was suspecting sabotage by some stakeholders. His words: “Before the present crisis, the nation used to consume between 30million to 35million litres of Premium Motor Spirit (PMS) daily but since this current challenge started, the consumption has shot up to 80million litres per day.